Is the dam holding back resentment within the city council’s SNP-Labour coalition about to burst and wash away the administration? The day before the administration revealed its plan to deliver £41m of budget cuts (plus the £6m health and social care has to find), Labour councillor Lezley Cameron used Facebook to get her retaliation in first and express dismay at what was about to unfold. “I cannot begin to describe how furious, frustrated, and let down I feel on behalf of my own constituents ... and also everyone in Edinburgh by the ineptitude of the SNP Edinburgh Council leadership in relation to standing up for Edinburgh,” she wrote. Lest we forget, Cllr Cameron is a prominent coalition member and as deputy convener of the housing and economy committee knew what was coming because administration councillors had been poring over the details of the plan for days. The question is for how long can she and other Labour councillors continue to lambast the SNP while keeping it in power without losing credibility? From what we’ve seen over the past 18 months, as long as they’re told to. The council decision to withdraw its grant to Marketing Edinburgh effectively outsources selling the city to national agencies whose priorities may be very different to the Capital’s. Scottish Enterprise and Scottish Development International answer first to Scottish ministers and regeneration in the West tends to be at the head of the queue. 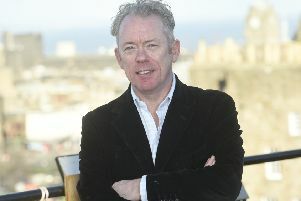 It’s a massive leap of faith, given Marketing Edinburgh – helmed by chief executive John Donnelly (pictured) – estimates it helps generate around £80m for the local economy. The council’s economic development budget will be slashed by a third to £6m and will concentrate on training and grants to help the unemployed into work. It also suggests it is abandoning any pretence it can directly influence the direction of the city’s business activity and many business people would agree, arguing it would be better concentrating on improving infrastructure and business services like building control. With the CBI and Ernst & Young predicting a £14bn hit on the Scottish economy in the event of a no deal Brexit, it beggars belief that anyone here could possibly be arguing that the high principle of severing all ties with the European Union would be worth the risk. The prospect of no deal is still needed to concentrate minds as negotiations continue, but no-one who genuinely cares about our prosperity can seriously contemplate it as an acceptable outcome. Certainly not at the same time as holding others to account for economic incompetence. We’ve had Harold Wilson’s kitchen Cabinets and Tony Blair’s sofa government and to that we can add Adam McVey’s bus stop budget after the council leader revealed how negotiations about council finances are conducted with Scottish Government ministers. “I meet them in informal circumstances, party meetings, even one minister at a bus stop and I stopped to say hello and talked about Edinburgh’s financial position,” he said this week. Perish the thought the settlement was worked out on the back of a ticket.